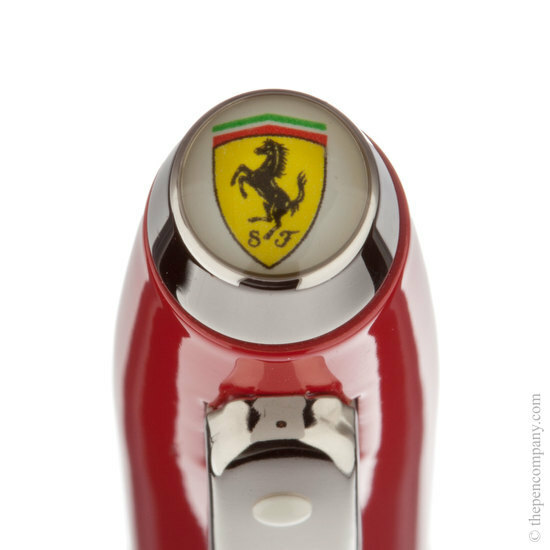 The Ferrari 100 range is characterised by its traditional Sheaffer-style sprung clip and the Ferrari shield emblem mounted on the end of the cap. The 100 is of all-metal construction and is available in the instantly recognisable Ferrari Rosso Corsa, as well a gloss black. 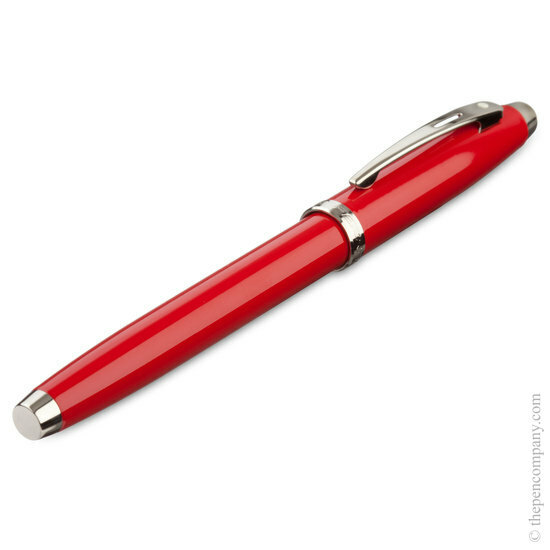 The fountain pen has a push-fit cap and accepts Sheaffer Skrip cartridges. It can also be filled from an inkwell, using the Sheaffer converter, which is included with the pen. The rollerball, also with a push-fit cap, accepts the Sheaffer Slim rollerball refill. 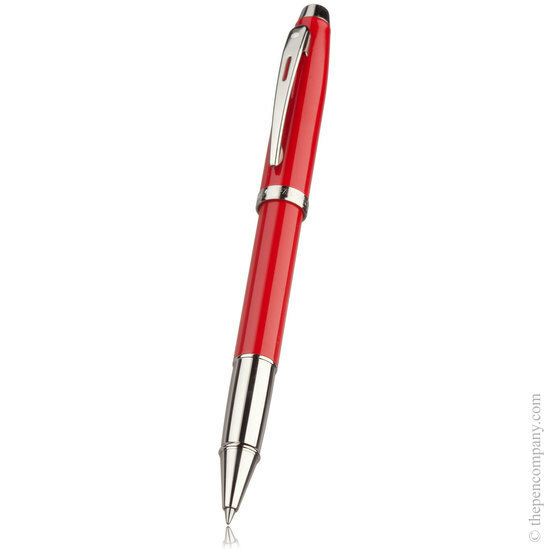 With its smooth twist-action mechanism, the ballpoint pen completes the individual pieces of the 100 range, but is also available a part of a set with a matching mechanical pencil (not available separately). All pieces are supplied with a luxury red gift box.